Grey is one of the colors that always becomes trendy during the fall season. You can find many pieces of cloth in this shade, from tops to pants, skirts to dresses, jackets and accessories. Also, besides clothes, you can also wear this color on your nails. 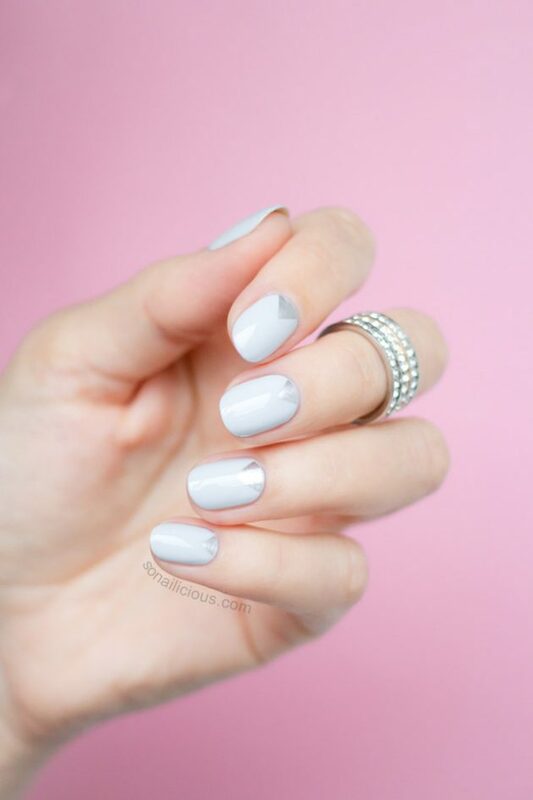 So, today, we would like to show you 15 Of The Best Grey Nail Designs that you may try to copy this fall. 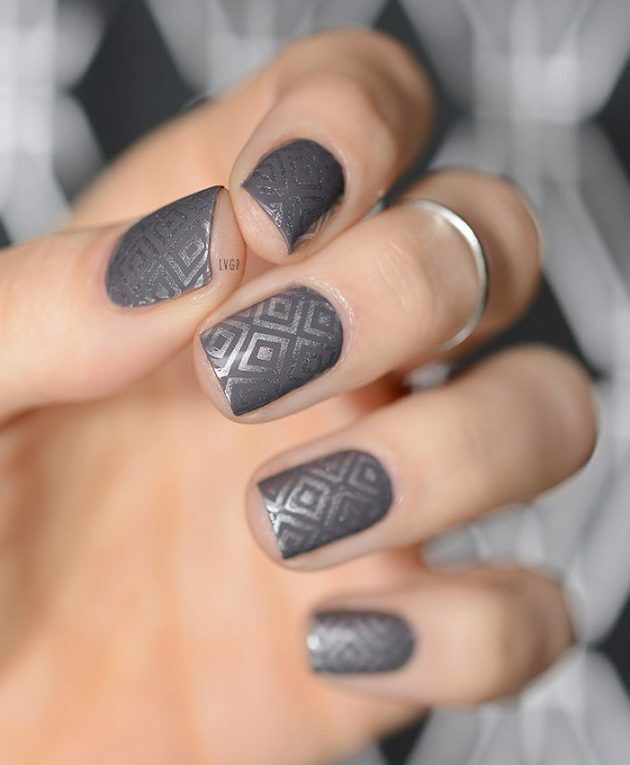 Grey can be found in different shades and because of that there could be so many versatile nail design possibilities. 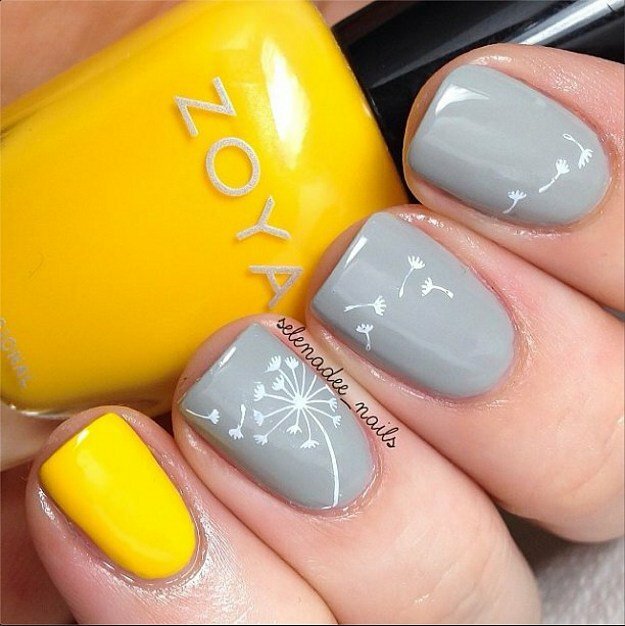 You can choose to have an all grey nail design, or you can combine it with some other colors and get more interesting nail design. For instance, you can combine grey with shades such as white, red, pink, yellow, gold, silver etc. 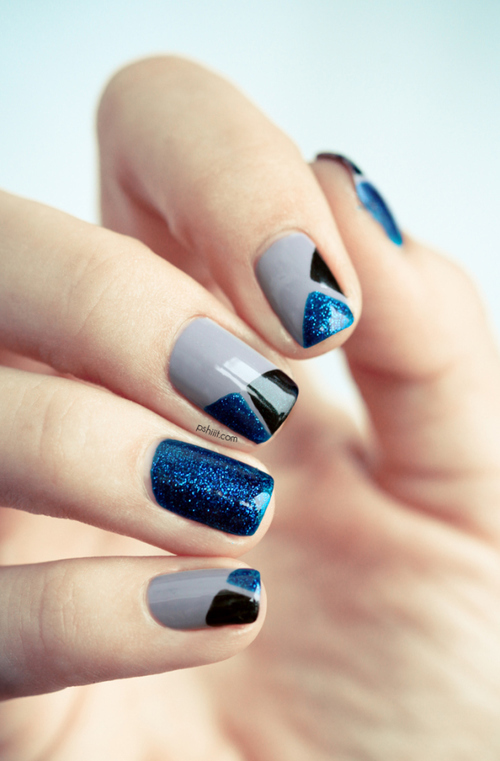 And you can simply choose to polish your nails with these colors, or maybe try to make some interesting pattern. 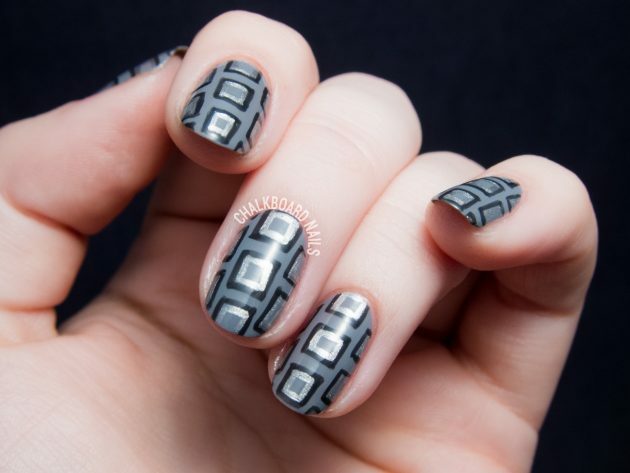 Scroll down now to see the grey nail designs that we have chosen for you today and choose which one of them you will try to copy first. When it comes to patterns, there are definitely many of them to choose from. 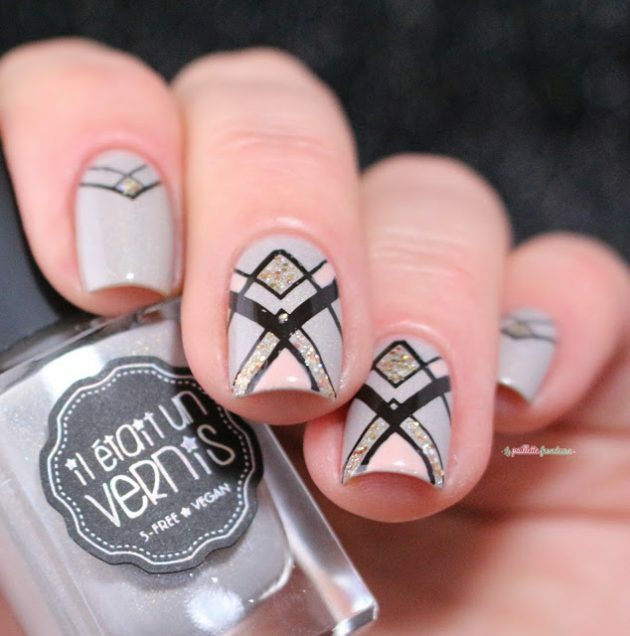 Stripes and dots are the ones that can never really go out of style. 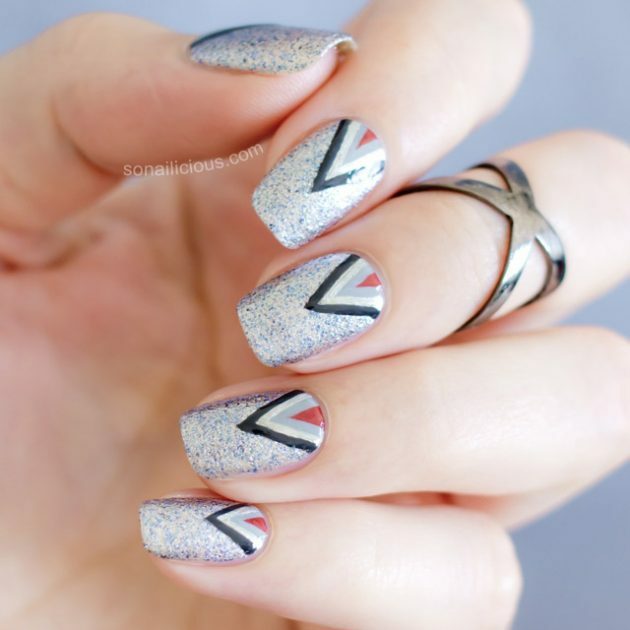 Besides patterns and colors, a nail design can vary in the type of nail polish you use. Glossy nail polishes are the most common choice and matte nail polishes are great for fall time as well as for when you are on the go since they can dry super fast. Also, you may choose some glitter nail polishes. 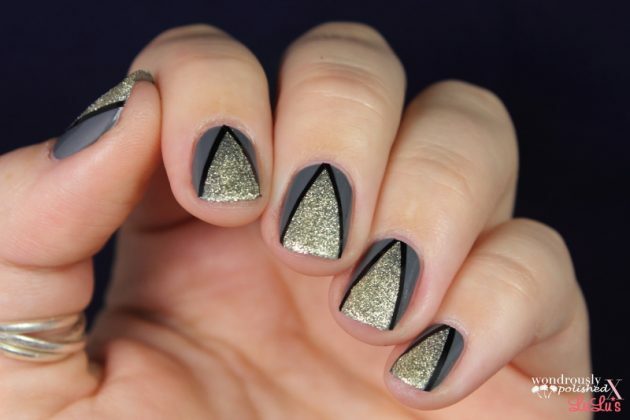 And of course, a nail design can also have some embellishments, such as studs or rhinestones. 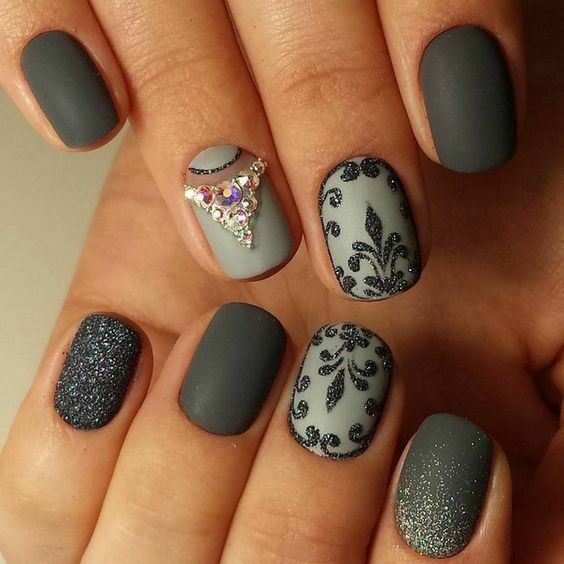 So, which one from the above grey nail designs did you like the best? Tell us in the comments and do not hesitate to copy them. 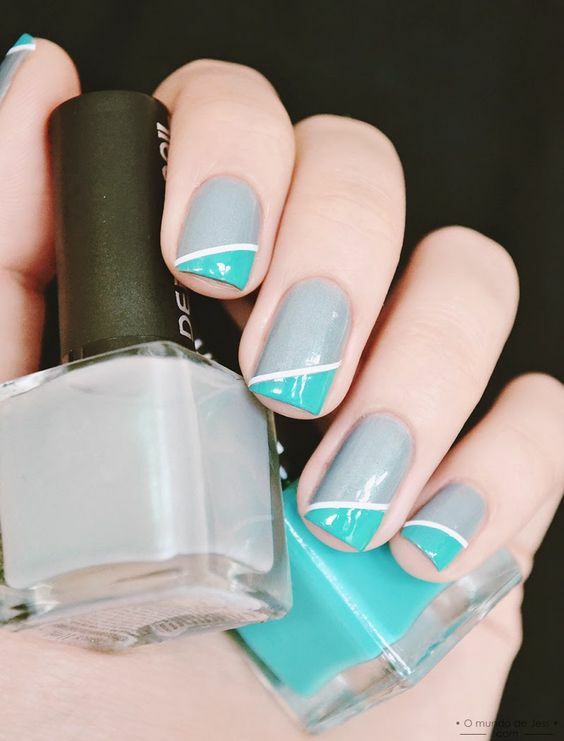 Thank you for reading and don’t forget to stay up to date with the content of Fashionsy to find many other nail designs for your inspiration.